As long as I live, I will always collect Thomas Beecham, i.e., anything I do not previously have on disc. Material keeps appearing for all great artists, and for that I am most pleased. 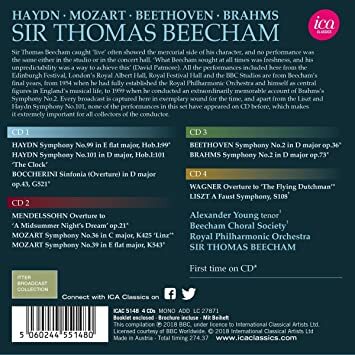 Now we have four CDs with most of the material appearing on CD for the first time, including Haydn's Symphony #99; Boccherini's Sinfonia (Overture) in D Major, Op. 43; Beethoven's Symphony #2 in D, Op. 36; Brahms Symphony No. 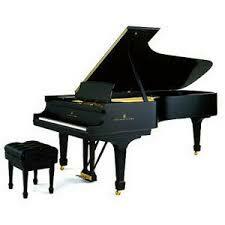 2 in D Major, Op. 73; Mendelssohn's Overture to A Midsummer Night's Dream, Op. 21; Mozart's Symphony #36 in C (Linz); Symphony #39 in E-flat, and Wagner's Overture to the Flying Dutchman. All were recorded with the Royal Philharmonic Orchestra (all in mono). The set also includes Liszt's A Faust Symphony with tenor Alexander Young, and the Beecham Choral Society. The BBC has licensed these recordings from their archives to ICA. If I were still buying records I'd certainly buy this set. 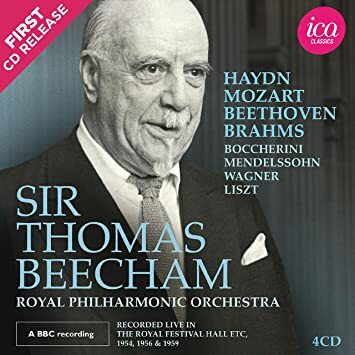 There are other sources of Beecham performances than the BBC; his New York Philharmonic appearances are in the orchestra's archives, and I found Mozart's "Impresario" overture in an ABC (American, not Australian) broadcast with the short-lived ABC Symphony Orchestra - he got them to play really well, probably with very little rehearsal as that evening he was also conducting a ballet at the Metropolitan Opera House.